Here are 7 portrait artists on The Commissioned, and the personality types they are best suited for. 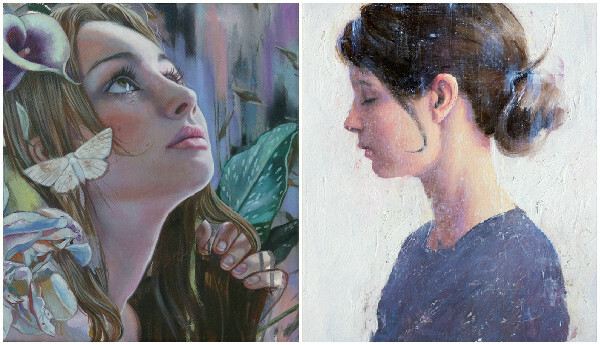 Fredrik Rattzen uses traditional acrylic techniques in his work and he is able to capture the intricate elements and features of a person’s face such that the overall piece created looks soft and gentle. Perfect for capturing your loved one deep in her thoughts or day-dreaming. Another dream-state focused artist is Lioba Bruckner. Lioba says she "first focused on portraits of women because I was and am still fascinated in the concept and our understanding of beauty." Today, her paintings featured female portraits paired complemented with a generous dose of nature and florals. From left: Visions by Lioba Bruckner (for sale), and Ears II by Fredrik Rattzen. If you desire a portrait piece that will make a bold statement, Naomi Haeger is the artist to commission. She does not paint people’s face literally, instead she uses her own interpretations, portraying pieces in a light that is deep and cohesive. Another artist who does bold and beautiful really well is Brad Swiney, who enjoys "creating strong expressive work using rigid form and fluid abstract layering to challenge people to have a deeper emotional dialogue or interpret my work for themselves." From left: The Model by Brad Swiney, and Her Stare by Naomi Haeger. 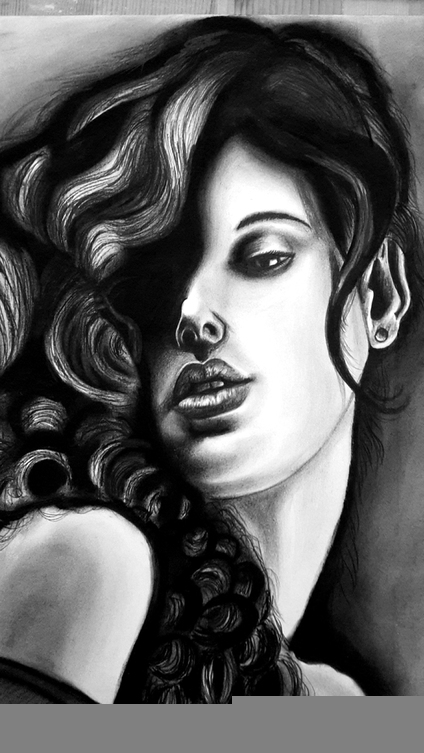 Specializing in charcoal as a medium, Rahul Bapat’s work is primarily done in black and white. This is ideal for those who love a monochrome palette and an art piece that captures the feminine gaze and her sensuality. 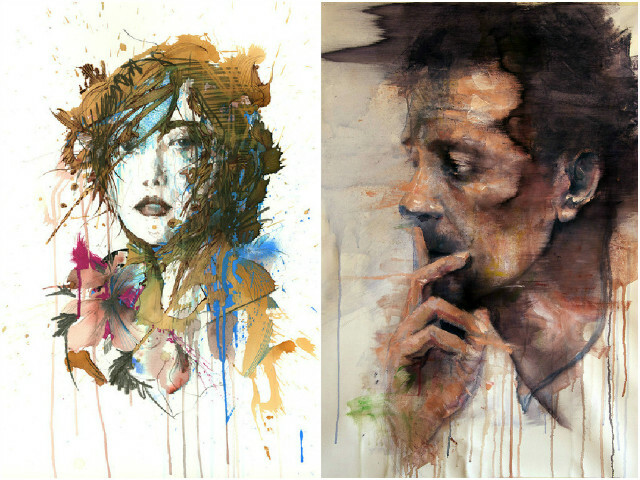 Carne Griffiths’ work represents a journey of escapism where literal and abstract combine. His style would appeal to the wild at heart, who are willing to experience a more surreal version of themselves. Another artist that is cutting-edge is Dario Moschetta. His artworks make the subject look mysterious and just enough details to know recognize the subject. For Dario, everything is instinctive, without a precise logic, and this makes his work hang in an air of suspense. Individuals who want a cool, mysterious representation of themselves should have a chat with Dario. 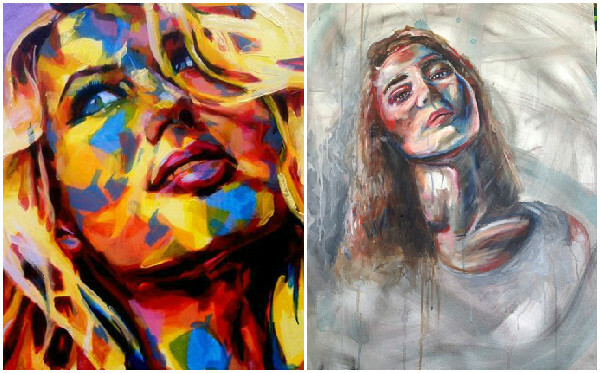 From left: Speechless by Carne Griffiths, and Hyperbolic Shades 2 Dario Moschetta. If you missed out on Part 1 of this series, check it out here.